Home » Who are the betting sites backing as the new PGA Tour gets underway? Who are the betting sites backing as the new PGA Tour gets underway? No sooner does one season end than another begins, such is the wraparound nature of the US PGA tour. And so it is that the leaderboard is wiped clean, and with only five of the world’s top 50 players taking part in the opening event at Silverado, it gave some of the sport’s stars of the future a chance to shine. Already, however, thoughts are shifting towards the CIMB Classic in Malaysia, which will see 15 of the top 50 players in action, not to mention 10 Major champions and 18 winners from the 2016/17 tour. PGA Champion Justin Thomas has made this event his own, winning in 2015 with a tournament record -26, and successfully defending last year. He certainly looks to be the man to beat. Can the betting sites see past Thomas? 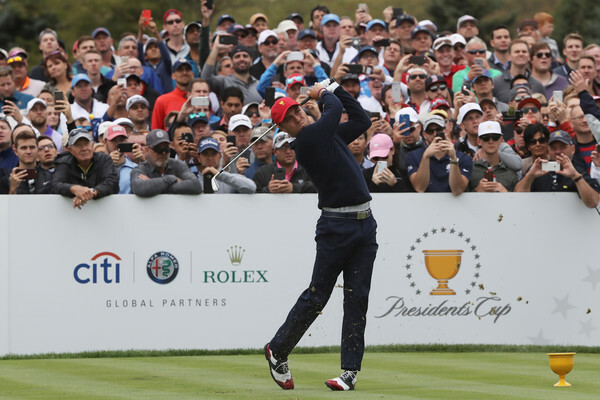 A few years ago, the PGA Tour was predominantly of interest to North American golf fans, but more recently it has garnered international attention, thanks largely to huge interest via online sports betting. Everyone from professional hustlers to grandmothers watching on TV loves to back their favorite with a small wager, and there are more golf betting sites, catering to a wider, more international customer base, than ever before. Justin Thomas, who is rapidly being seen as Malaysia’s adopted son, is certainly the hot favorite to lift the trophy for a third year in succession, and some are even asking whether he can shave another shot or two off than remarkable -26 from 2015. However, the competition is strong, and should not be underestimated. The event has been won by an American every year since it was launched in 2010, a trend that England’s Paul Casey is desperate to bring to an end. The 40 year old only has one PGA Tour win to his name, which was the Shell Houston Open in 2009, but he has been in a rich vein of form over recent months. Other outside shots that could be worth a speculative dollar include Spain’s Rafael Cabrera-Bello and South Korean star Si Woo Kim, who became the youngest ever winner of the Player’s Championship in May of this year. Kim is one of the most exciting rising stars in golf, and is certain to have plenty more tournament wins ahead. He is joined by a raft of other talented 20-somethings including Grayson Murray, Wesley Bryan, Mackenzie Hughes and Cody Gribble. However, it is not all about the young guns. The biggest cheers will almost certainly be reserved for Davis Love III and The Big Easy himself, Ernie Els. Despite turning 53 earlier this year, Love is still a force to be reckoned with, and finished tied for 8th in his only previous appearance in Malaysia, back in 2014. With such a blend of youth and experience, it is clear that Justin Thomas should take nothing for granted under the unforgiving Malaysian sun. It promises to be a compelling event.